Being a Process Automation company, at AAG Engineering Technologies, during SCADA implementation a most frequent challenge we face that even increases the SCADA cost is over specification of the types of points, point quantity, and frequency points are acquired or not specified in enough detail. 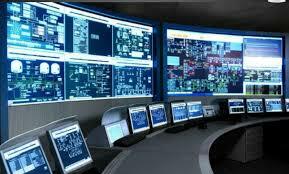 We have seen that this has cost high to customers and even missed out expectations on SCADA implementation. The planning process required by the engineering company to give out details as to what points are required to accomplish the needs of the customer is very short. More often, they don’t dedicate much time to learn their requirements. Points: SCADA implementation is based on per-point quota. That means more the points more would be the price. It also implies that if the system is bigger, its price will also be bigger. Generally, the big data center has several hundred meters. So that would be many points! Integration: A bigger system may even have thousands of points. Integrating them to collect points, alarm them, and historize them is not an easy task. More the integration more will be the labor cost. It is highly essential, therefore, for engineering companies to understand the exact needs of their customers and tailor the points list to support those goals. Any points that are not on the list should be left out. Underspecification is not the only problem we at AAG Engineering have faced. Some engineering companies just specify the type of device they require. They don’t specify any other details like the number of points required or even how it will be used. We at AAG, prefer to meet the owners, in such cases, to have more clarity on the points that are required, the alarms and historized. However, practically speaking it is rare! Meeting the owner is often limited to construction projects only. In such cases, when we cannot have direct contact with the customer and not a detail specification from an engineer, we mostly include more points so as to avoid any error later on. But that leads to a higher price in terms of designing and licensing. We at AAG Engineering Technologies, therefore, firstly, try to analyze the requirements of the customer, try to communicate with them in that respect and design the system that best meets their needs with superior quality at reasonable price.